Demersal 0-group Atlantic cod (Gadus morhua L.) were collected in Trinity Bay, Newfoundland, Canada, between August 1993 and January 1994. Diet composition and simple indices of condition (hepato-somatic index, condition factors and body ash content) were determined. Laboratory experiments were also conducted to determine whether simple indices of condition reflect differences in energy intake (ration level) and to determine minimum index of condition values, assessed from 0-group cod that died due to exhaustion of their energy reserves. 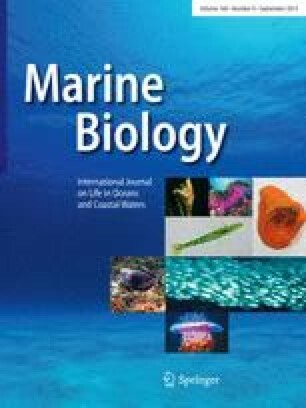 Determination of lower critical indices of condition provided a meaningful interpretation of field data on feeding, condition and survival of 0-group cod. In the wild, indices of condition reflecting variation in liver and muscle energy reserves of cod increased rapidly with the consumption of Calanus finmarchicus, which exhibited a high incidence of oil sacs, and declined abruptly when this lipid-rich prey was no longer consumed. Liver and muscle condition of 0-group cod from the field varied seasonally, but their condition was consistently above that of cod that died in the laboratory. Laboratory studies, using three ration levels, revealed that condition indices differed over time and among ration levels. Indices of condition representing variation in muscle energy reserves exhibited a steady decline once the hepato-somatic index fell below about 2.0. We interpret this as evidence for depletion of lipids first and then proteins, a pattern similar to that of larger juveniles and adults. We conclude that as long as 0-group cod are above a “safe” level of condition their body length can still increase even when condition is declining.